Its been only 26 months since Honda Motorcycle and Scooter India (HMSI) launched the first Dream series motorcycle, the Dream Yuga. The second motorcycle under the same marque was the Dream Neo. Honda's Splendor beater has now crossed a milestone of 10 lakh units sold. To celebrate the milestone, HMSI has announced its 'One Million Dream Celebration Offer' wherein customers can avail of free insurance and loan schemes upto 100 per cent on the Yuga and Neo models. HMSI has also announced bookings for its next Dream motorcycle, the CD110. The motorcycle is priced at Rs 41,100 ex-Delhi and is available in a phased manner as of now. Honda introduced the HET across the Dream range and claims that this helps the motorcycles deliver 74kmpl fuel efficiency. Speaking on this achievement, Yadvinder S. Guleria, vice president, sales and marketing, HMSI said, "To enter the new era of Honda two-wheelers in India ,complemented by such a landmark is very special to us. We thank all our million dreamers for reposing their trust and confidence in brand Honda. With our increased network in rural India, we are confident the Dream Series shall further expand its wings specially with our latest addition (the) CD110 Dream." Honda Dream Series sales zoom past 10 Lakh Milestone § 100-110cc Mass Motorcycle segment becomes the fastest growing segment for Honda § Honda celebrates achievement with 'One Million Dream' offer for new customers New Delhi, 6 August, 2014: Honda Motorcycle & Scooter India Pvt. Ltd., the only Honda in Indian two wheeler industry today surpassed the 10 Lakh sales mark for it's Dream Series mass motorcycles. In just a short span of 26 months, Dream Series has emerged as a preferred choice for a million Indians. Since 2012, Honda's share in the 100-110cc segment has increased by a humongous 400% (2%-8%), making it the fastest growing segment for Honda. Speaking on this achievement, Mr. Yadvinder S. Guleria, Vice President  Sales & Marketing, Honda Motorcycle & Scooter India Pvt. Ltd. said, "To enter the New Era of Honda 2 Wheelers in India complemented by such a landmark is very special to us. We thank all our million dreamers for reposing their trust & confidence in brand Honda. With our increased network in rural India, we are confident Dream Series shall further expand it's wings specially with our latest addition 'CD 110 Dream'." 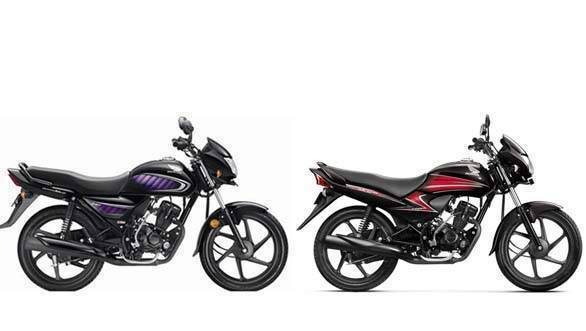 In 2012, Honda unleashed its first big step towards mass mobility in India-Dream Yuga. Backed by regular value additions & superior Honda Eco Technology (HET), Dream Yuga is now well accepted. In April 2013, Honda unveiled the much awaited second 'Dream Series mass motorcycle' the 110cc DREAM NEO. It successfully broke the clutter of "Me too" motorcycles in this segment and catered to the needs of the Indian mass model riders who aspire for an expression of individual identity believing strongly in themselves as "Apni Film ka Superstar". Despite the highly competitive market, in a very short-span the Dream Series has set the benchmark for this industry segment. Very recently, as a part of strategic expansion in hinterland through the basic sub-segment of 100-110cc motorcycle- Honda launched it's most affordable motorcycle in India- The CD 110 Dream. To rejoice 10 Lac Dream milestone, Honda Motorcycle and Scooter India Pvt. Ltd., announced the 'ONE MILLION DREAM CELEBRATION' OFFER giving customers yet another Joy in owning a Honda Dream motorcycle. Through this limited period offer customers can avail free insurance and attractive finance scheme of up to 100% loan* to value. *The offer is valid only on Dream Yuga & Dream Neo for a limited period till 31st August 2014.